If you haven’t heard, the Great Wolf Lodge is opening a 500,000 square foot water park and resort in LaGrange, GA on May 31st. 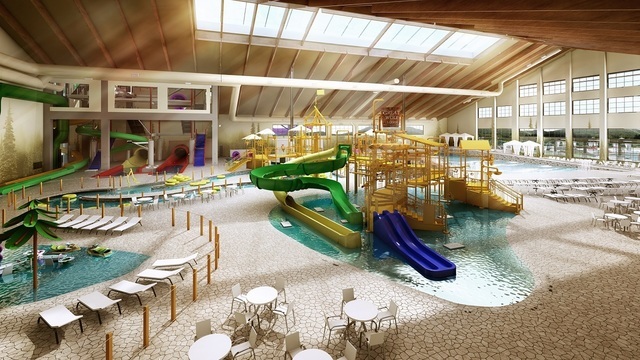 The $150 million facility, which includes a 100,000 square foot water park as well as 456 hotel rooms, is offering 30% off the best available if you book by March 23 according to the website. As part of its grand opening celebration, Great Wolf Lodge created this special offer and you can book by visiting greatwolf.com or by calling 1-888-960-WOLF (9653) and using the promo code, “GRAND.”* Your stays must be used by December 31, 2018. Water park passes are included in your suite price. Every night’s stay gets you two days of play – with park access from 1:00 p.m. on day of arrival until close of departure date. The company said the resort will be the new prototype, or “flagship resort” for Great Wolf, which operates more than a dozen other properties across North America. Follow their Facebook page for more updates. Two new concept rides will make their North American debut at the park, according to a news release. They are said to be one-of-a-kind slides developed for Great Wolf Lodge Georgia by noted slide manufacturer ProSlide. Rapid Racer: This two-person tube racing slide features plenty of thrills with drops, chutes and serpentine curves. As riders emerge from the exhilarating 180-degree and 360-degree banked curves, they enter a section with open racing lanes where they can see and hear their competition on the other side of a low separator wall. The slide features three rally points where guests can see their competition as both careen down this incredibly fun water attraction. Follow us on Facebook for your local scoop.